Updating is simple and with the newest firmware version, you can get even more from your Walkman. Please read carefully the following instructions. Do I need to download it? 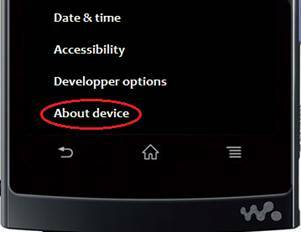 :This update utility is not necessary if your Walkman has already been updated to firmware version 2.04 by the automatic firmware update function. 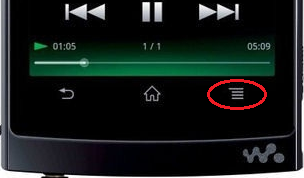 Tap Settings (or [System settings]), and About device. Confirm the Model number and Build number. Depending on the build number, refer to the table in the "Download and install the update" chapter for download of the correct file for update. Android 4.0 (Note that some App's earlier downloaded and installed to your unit may no longer be compatible with this Android version. Confirm compatibility before performing the update. Downgrading to previous firmware version is not possible). Confirm the "Available space" of "USB storage"
Confirm the build number of your unit. Once the file has downloaded successfully, you're ready to install the Firmware update Ver.2.04 for NWZ-Z1040/ Z1050/ Z1060. Double click the saved NWZ-Z1000_V2_04_0xxx.exe file, and work by following displayed massages. 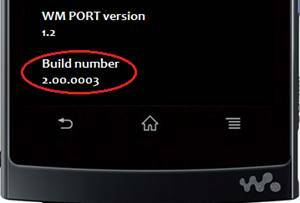 Please confirm the version when the update program is installed successfully with following How to confirm the Model and the Firmware version steps. The update program installation is succeeded when 2.04 is shown on the screen.